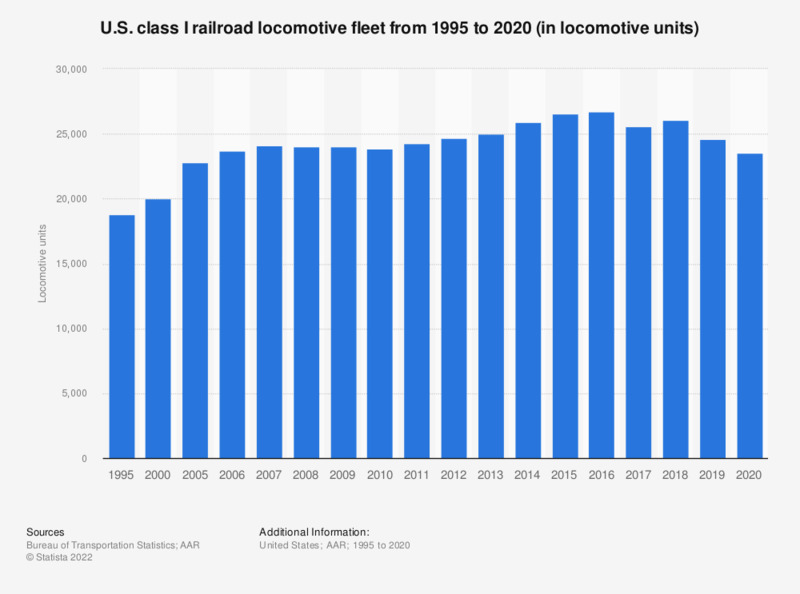 This statistic represents the number of locomotive units in the United States Class I railroad locomotive fleet from 1995 through 2017. In 2017, the U.S. Class I railroad fleet comprised of 26,546 locomotives. In that year, the average age of the North American locomotive fleet stood at 25.8 years. Data prior to 2017 was taken from previous editions of Class I Railroad Statistics. Everything On "Rail industry" in One Document: Edited and Divided into Handy Chapters. Including Detailed References.